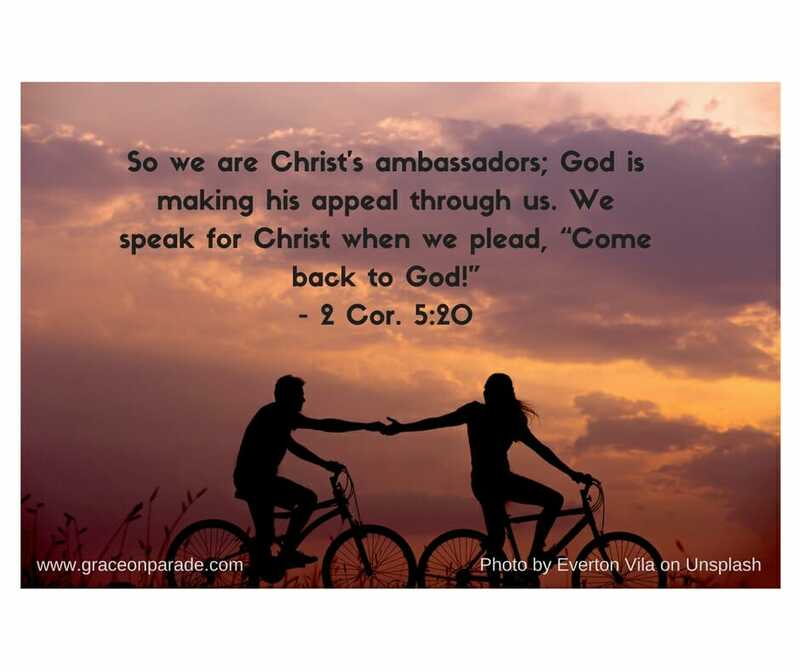 Witnessing Opportunities: How Much Should We Say? Taking advantage of witnessing opportunities is like a child learning to ride a bicycle. Watching my younger daughter learn to ride a bike was – well, painful. Hands gripping the handlebars with elbows stuck out like an imitation of the Chicken Dance, she careened down the sidewalk in a zigzag pattern that looked like she was traversing switchbacks up the side of a mountain cliff. My husband trotted beside her, trying to stabilize the bike. As she veered toward the street, Jack hollered at her to stop. Without braking, slowing, or even putting a foot down, still holding the handlebars with a death-grip, she vaulted over the seat and landed on both feet. I must have gasped. Jack ordered me in the house. “There’s some things dads and daughters have to do and mothers have to turn their heads,” he told me. She was ecstatic. She had ridden her bike. Didn’t she do a great job? Well . . . if you call that riding a bike. I wonder if God feels that way about how I maneuver through witnessing opportunities.